That’s the Twitter bio of @SICKOFWOLVES, otherwise known as stand-up comic Dan Sheehan. Dan has been tweeting wolf-related funnies since 2013 and has been selling merch on Teespring for just over a year. Dan’s jokes, written from the point of view of a wolf pretending to be a human, cover everything from pop culture to politics and, of course, the problems surrounding being a wolf in the human world. Dan soon gained a following of over 100,000 people and knew that it was time to both capitalise and share the @SICKOFWOLVES love. 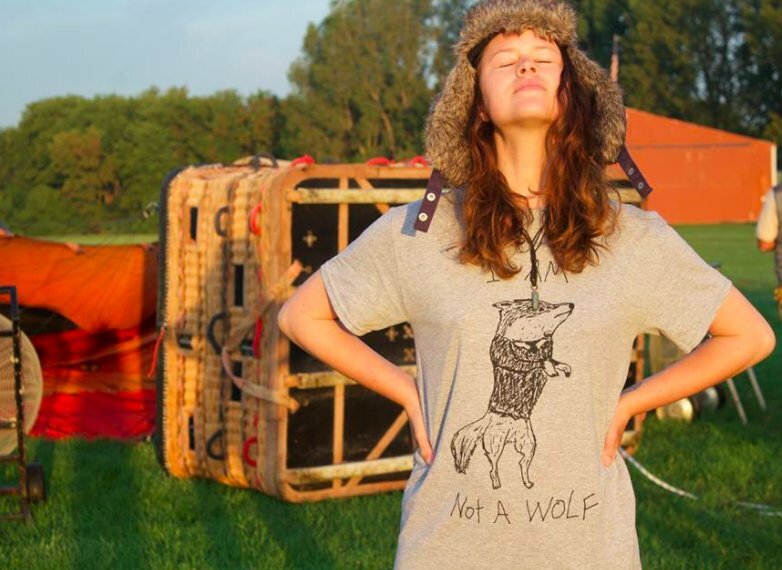 A graphic designer and ABSOLUTELY NOT A WOLF by night, Dan launched his first designs to the delight of his online audience in the form of the ‘Fine Human Clothing’ shop! Through using Teespring Analytics, Dan could see which designs were the highest performers and tailor his next release to align with the fan favourites. But which design is his own favourite? And Dan is not alone. 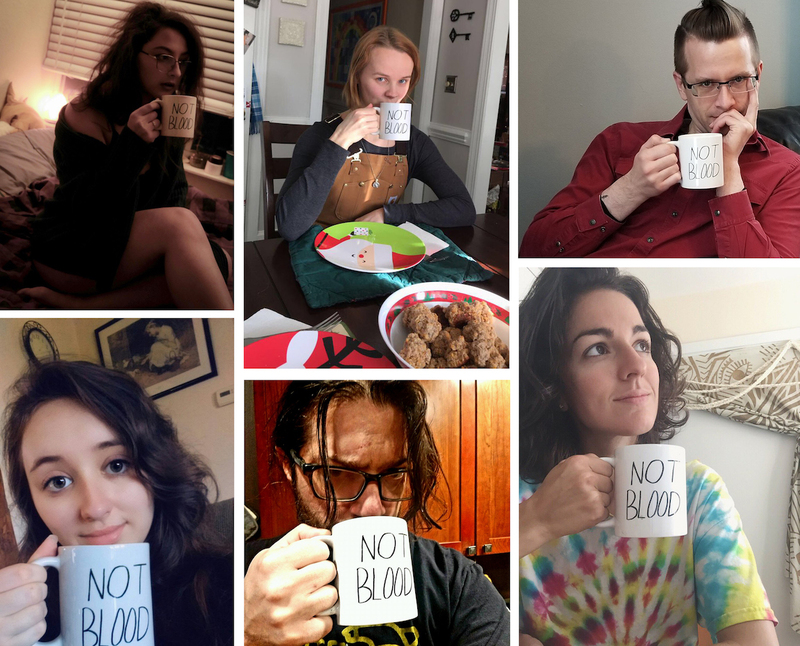 The ‘NOT BLOOD’ mug has been his top seller and he receives selfies of people drinking *ahem* NOT blood, from all over the world. After being branded by the internet as part of a community called; ‘Weird Twitter’, Dan was recently nominated and attended the ‘Best of Weird’ at the Shortys Awards. Honoring the best content creators and producers on social media, the ceremony in New York was livestreamed across the world. But not all popular Twitter accounts gain such great success selling merchandise, especially as the stars appear to rise and fall constantly on the ever-evolving platform. So what advice does Dan have for other social media influencers looking to capitalise on their audience’s loyalty and growth? So, what’s next for Dan? Well, he has just finished a book proposal related to the breakout twitter account character of the wolf…watch this space!